I’ve been getting a little crafty, and wanted to up my game this Halloween! 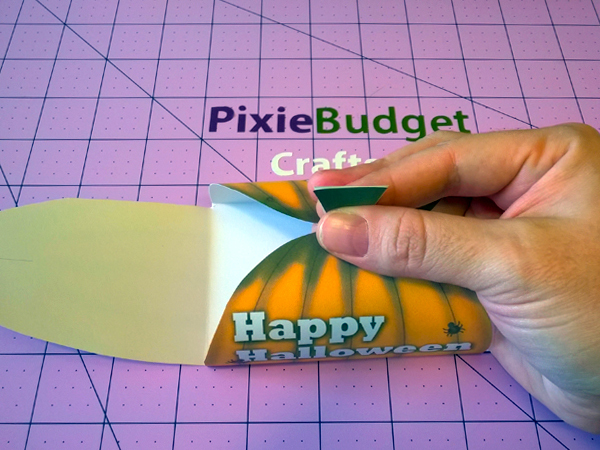 I wanted to hand out little boxes rather than have kids dig into a bucket for trick-or-treating. More fun, right? So, I designed this little pumpkin cutie. 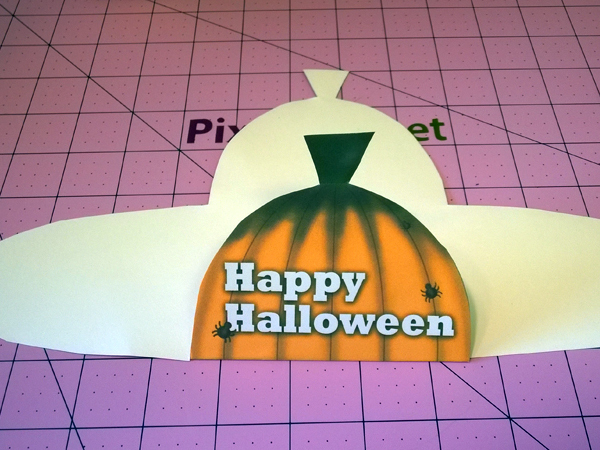 Start by printing the PDF template on cardstock or photo paper. Make sure your printer settings are at “actual size”, otherwise the boxes might be a bit smaller than shown. Cut it out with a pair of scissors. Then, with an Exacto or utility knife, slice the two flaps. 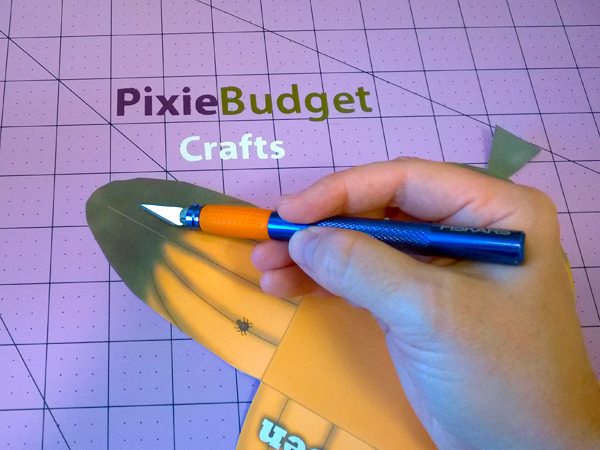 Use a ruler to make this cut neat and easy. Gently fold the four flaps. 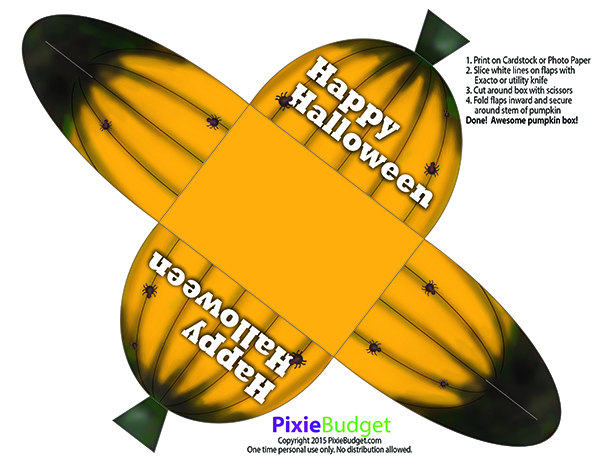 Add your candy or Halloween treat! Grab the two shorter ends and bring together. Gently push down, and fold the longer ends over the stem. 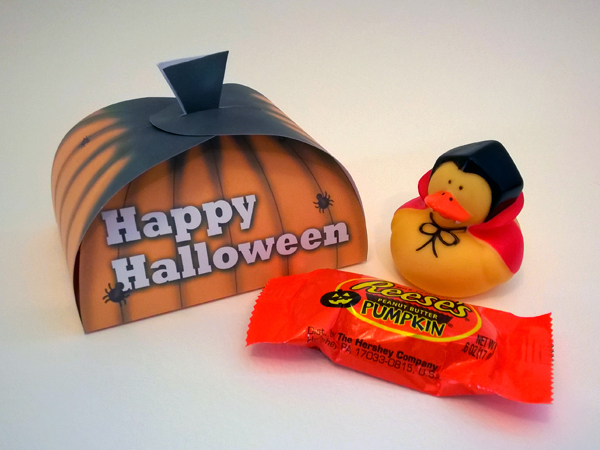 I got these cute little Halloween Rubber Duckies (ad- affiliate link) from Amazon, and they fit perfectly into the box! Great for class parties, teal pumpkins, or a just a great non-candy Halloween treat! This box is free for download, but I do have other premium party boxes available in my Etsy store. These boxes are for one-time personal use and not for distribution. 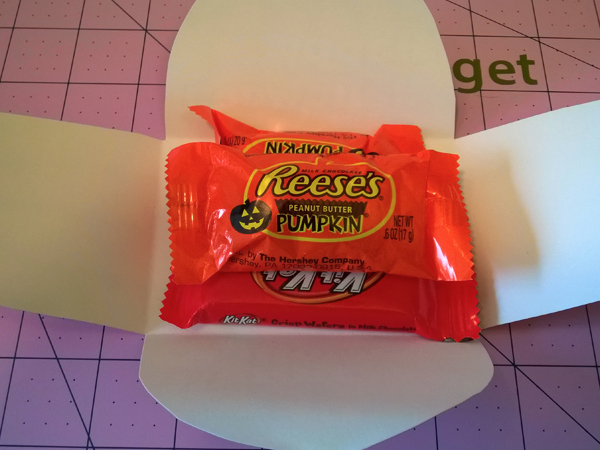 If you would like to post this treat box elsewhere please credit PixieBudget.com, and link back to this page. Thank you so much!